Jarret Martin attended the CWL last January and was awarded for his efforts, first earning a contract with the York Revolution of the Atlantic League, before signing on with the Richmond Flying Squirrels in the San Francisco Giants organization. Martin is a 28-year old pitcher from Bakersfield, California and was drafted out of high school, in the 19th round of the 2008 MLB Draft by the Baltimore Orioles, but didn’t sign. After spending a year at Bakersfield College, Martin re-entered the draft and was taken by the Orioles again, this time in the 18th round. 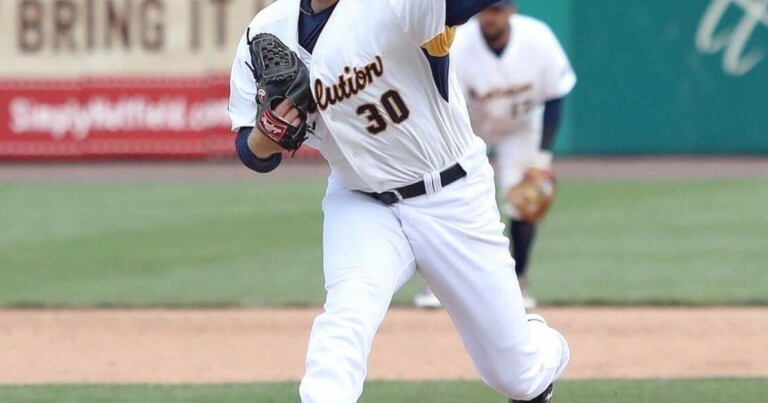 After bouncing around between the Orioles, Dodgers and Brewers organizations, Jarret joined the independent ranks in 2016 pitching in the CAN-AM league. He came to the California Winter League in search of a contract to continue his career. With Hit King, Martin appeared in 11 games, all in relief, throwing 20 innings and striking out 36 hitters. He earned a contract with the York Revolution of the Atlantic League. The 6’3″, 230-pound lefty reported to York where he sported an 0.98 ERA, striking out 27 hitters in 18 1/3 innings over 18 games for the Revolution, before being signed by the San Francisco Giants organization. He finished the year with the Richmond Flying Squirrels at the Double-A level, appearing in 37 games with one start, going 4-2 with a 2.04 ERA, striking out 40 hitters in 39 2/3 innings pitched. The CWL congratulates Jarret on all of his hard work and wishes him the best of luck on his endeavors!